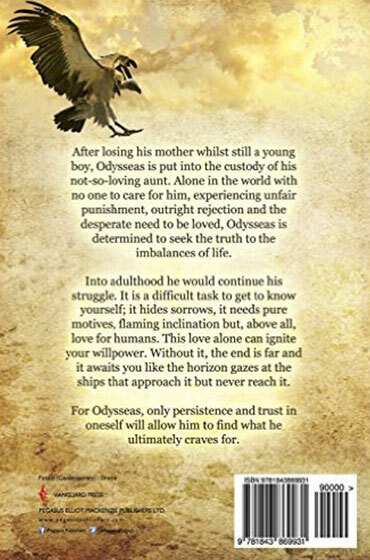 Odysseas is a hero reminiscent to Homer’s and is as driven in pursing his goal which is to fulfill his spiritual, mental and emotional potential despite the obstacles he faces, political, moral and religious. It transcends boundaries of gender, theology, race, space and time. Lou is Odysseas’ guide taking him through his transformation. She is the daughter of a shipping magnate. She has had a head start on her personal quest. 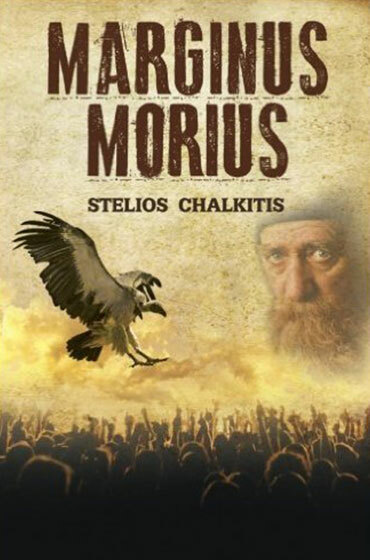 Their master, Verochios a monk on Mount Athos, is a wise elder who recognized their capabilities and groomed them. There are so many other equally engaging characters as well. The author manages to captivate the reader and render her or him a witness of the main character’s saga. Bible conspiracy theory could be considered a shared aspect that Marginus Morius has with Dan Brown’s international best selling mystery detective novel The Da Vinci Code. 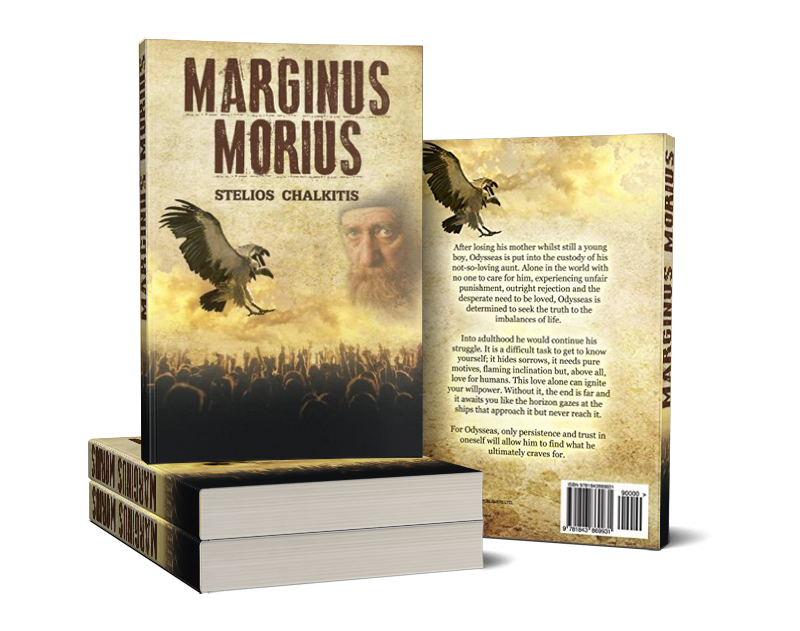 However, Marginus Morius is a much more complex and multi-faceted work, which dares to tackle life’s most troubling questions and what the beyond might entail. 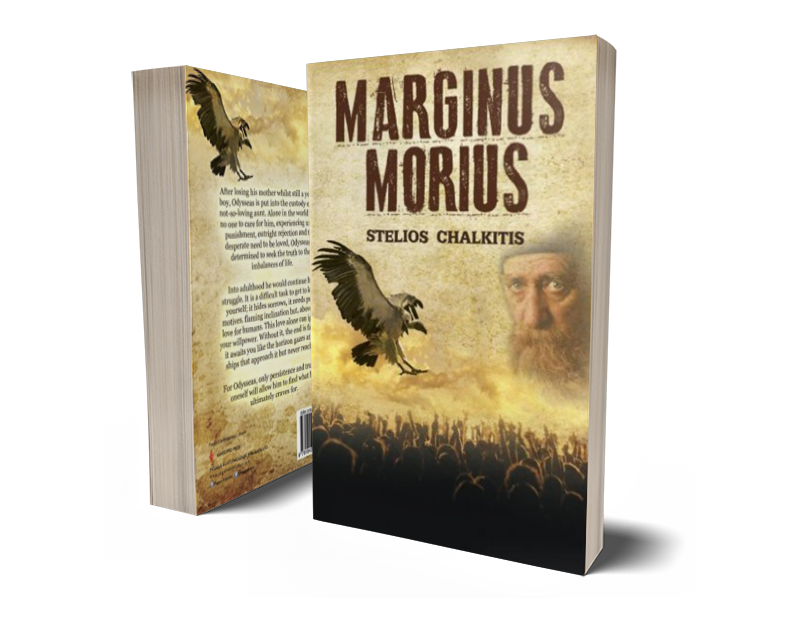 Having been written in Greek originally, it was first published in 2012. 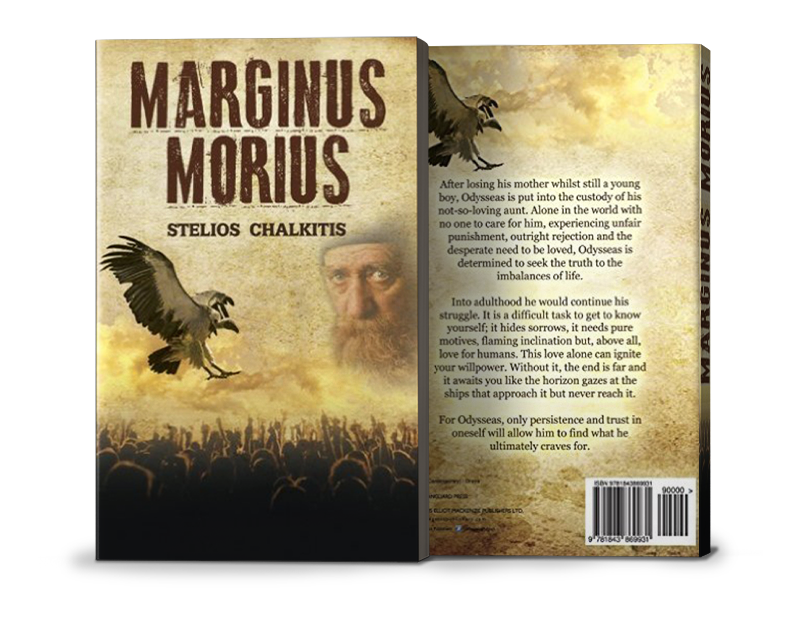 It received accolades in Greece by academics and is a best seller. 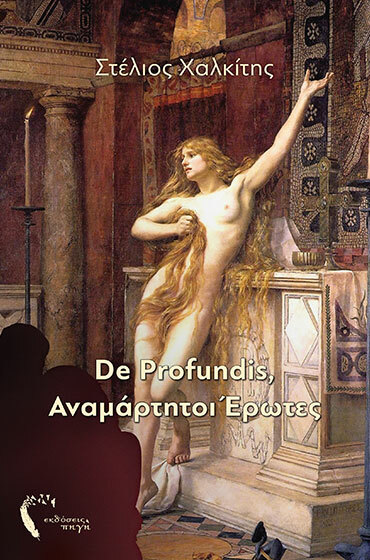 The Greek edition is actually being reprinted. It took me about two days to read its 430 pages. I was obviously enthralled and couldn’t put it down, and not only because of the plot. I must also comment on the English translation which is surprisingly quite good. I strongly recommend this book to readers of all ages, but who have achieved a certain level of maturity and open-mindedness, as it has something to offer everyone, literally. There is also room for romance. The writer’s style is rather baroque, it is imposing and plethoric. At the same time his prose borders on lyrical poetry. …The children of controversy quickly understood what we adults, with the obstinacy of mules, refuse to accept. Thatis,toaccept the futility of our struggle for freedom. Aspuriousfreedomthathasmadeusslavesofmillionsofotherthings. The horseshoe was found to be made of plastic. We were not on time for the appointment. When we were sought out, we were not there. Wedidnotevengettherebelatedly. We, likefaithfuleunuchsofa copper sheen, have lost ourway. Theyhadtopave their own way. We drove them away from politics, so they embraced new technologies and through them they rebel, they excel, they strive for another sublime cause. Today, now that principles have defaulted, values have been debased, and purposes havewaned, these young men and women have not learned to parrot others. They have something of their own to tell us. They have not surrendered stoically to our illusions, they have entered our domain, not the way enemies enter a city, but to liberate the slaves that thought they were the masters. They havebecomesystem breakers. “It was God’swill, he took her near him.” they said again and again. “Woman is the hymn of creation. The best painters make wonderful paintings, the most perfect sculptors exquisite statues. But life is created only by woman. The brave never celebrate, they always support lost causes. So you will be egotistical and humble of heart. Fear those who preach humility and flaunt it around as if it were a spectacle, because the town criers of selfishness have nothing in common with the humble of heart, because the town criers of selfishness are those who preach humility. Humility is an unseen action, when it becomes visible then it is selfishness, it is the worst kind of covert selfishness, it is like acid rain that ages marble. Without selfishness there is no spiritual progress. And yes, in life we know that selfishness is frowned upon, in the pursuit of the divine it is a prerequisite. What does ‘the kingdom of God is in haste and those who seize it inherit it’ mean? The plunderers, the inquisitive, the uncompromising are selfish. They are those who are stifled by lies, hypocrisy and injustice. They are the fighters who with their life’s example become an inspiration to the people around them. The voice of those people is convincing and their look exonerates you. The notebook slipped out of her hand in a snakelike motion and she slept on her right side until dawn. To create a balance, you not only add drams but you also remove some.